Your perfect workout partner. 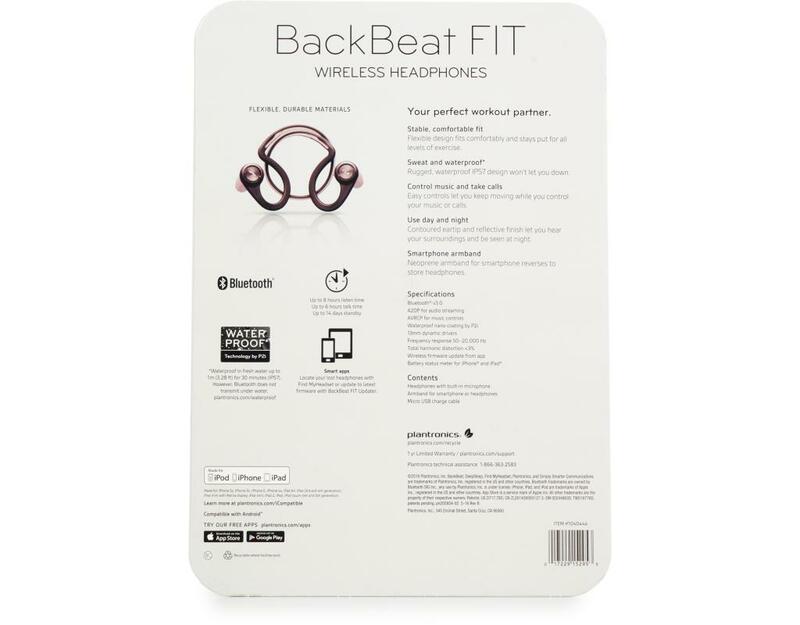 Push yourself with wireless sport headphones as unstoppable as you are: BackBeat FIT. Flexible, durable, and waterproof, they stay comfortably in place through your most intense workouts. Stable, comfortable fit. 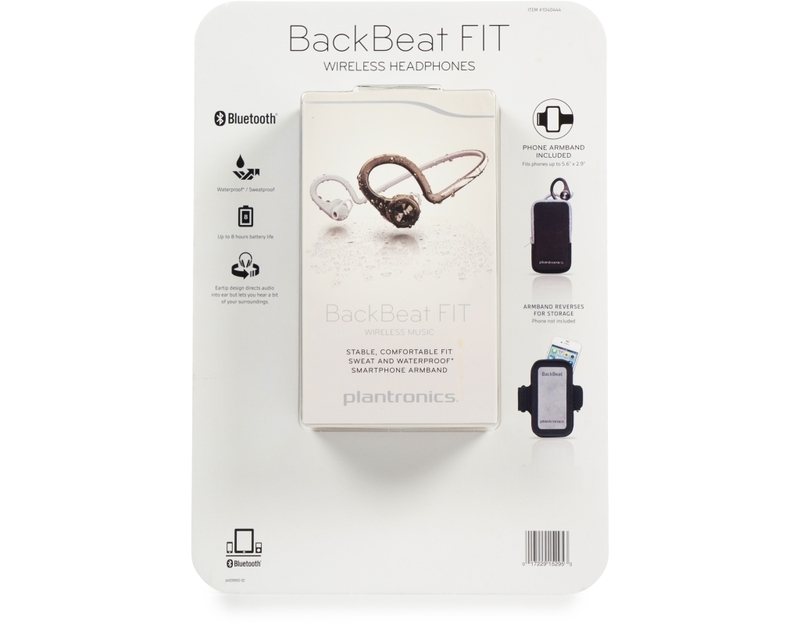 Flexible design fits comfortably and stays put for all levels of exercise. Sweat and waterproof. Rugged, waterproof IP57 design won’t let you down. Control music and take calls. Easy controls let you keep moving while you control your music or calls. Use day and night. Contoured eartip and reflective finish let you hear your surroundings and be seen at night. Smartphone Armband. Neoprene armband for smartphone reverses to store headphones. 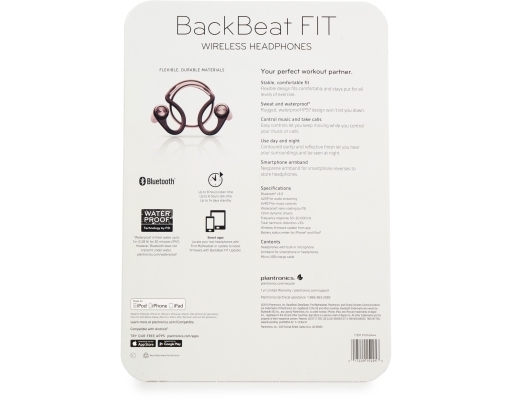 • Eartip design directs audio into ear but lets you hear a bit of your surroundings.